I've decided to use this experience to do a poster for our main floor as we've recently moved into a new building and have been slow to add artwork to the walls. 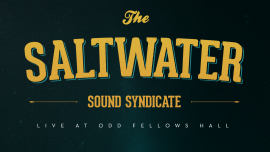 The name of our company is Saltwater, and our new building is called Odd Fellows Hall—it's an awesome late 1800's building with great architectural detail and I thought it would be cool to treat Saltwater as the band and the building as a music venue. Really anxious to learn about the post produciton and half toning as a result of this class. Attached are the initial sketces of the buidling. 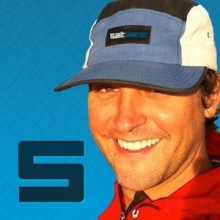 I'm picturing a night time scene, potentially a moon in the upper left, the title of the company, etc,. Another thought was to have the building appear to be taking off or have it sitting solitary in the water with a dock. Here's my early sketch work. I've done it in illustrator as I'm working from a photo instead of a pencil sketch. I have a clear cut idea of the subject matter, still trying to work out the details. The skyline downtown would be nice to feature in the background area. The street lights are also quite cool, and should be a nice little feature at the bottom, if the gentle cast of the light coming off is executed properly. Love this half tone style DKNG achieve regularly. Would like to take this in that direction and see what I may be able to achieve with halftones in post production. Having mixed success with the half tones at this time. I think I should move off of it for now, as I think I'm jumping ahead as a result of impatience. I need to sort out the details first. Still al lot ot finish up on the illustration front before I really need to worry about the halftones. Thoughts on the rough stab here are welcome. Still playing with these halftones, not really having any luck finding much in the way of dot variation.